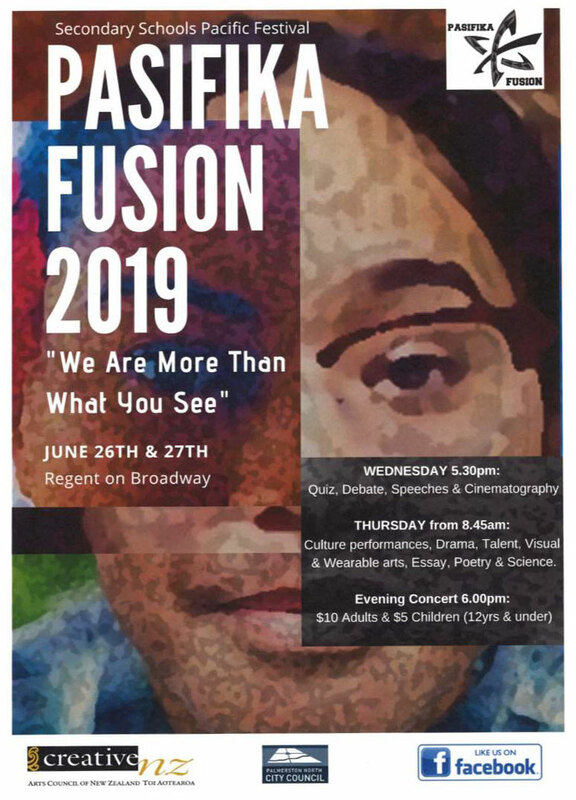 Every year LAC Pasifika students take part in the annual Pasifika Fusion event. This year, it was held on Thursday, July 5th at The Regent Theatre on Broadway. The theme focused on building self-worth and resilience. LAC entered into 8 of the 13 categories submitting a range of work for visual art (paintings), poetry, cinematography short films, drama, vocal/performance talent, speech, wearable arts and cultural performance items. The event started with the Pasifika and English speeches, debate teams, quiz teams and cinematography categories on the night before. Three short films were featured from Jotham Tesese (Y13), Tywana Wong (Y11) and Jayden Shilton-Hart (Y13) with Lochlan Packman (Y13). Each film showcased their own personal style to film-making and highlighted various ways self-worth can be built by being proud of your cultural heritage. Tianah Lauesi (Y12) presented a heartfelt speech where our self-worth is found in Jesus; encouraging us that He is the way and that He has given each of us a purpose to prosper – Jeremiah 29:11. 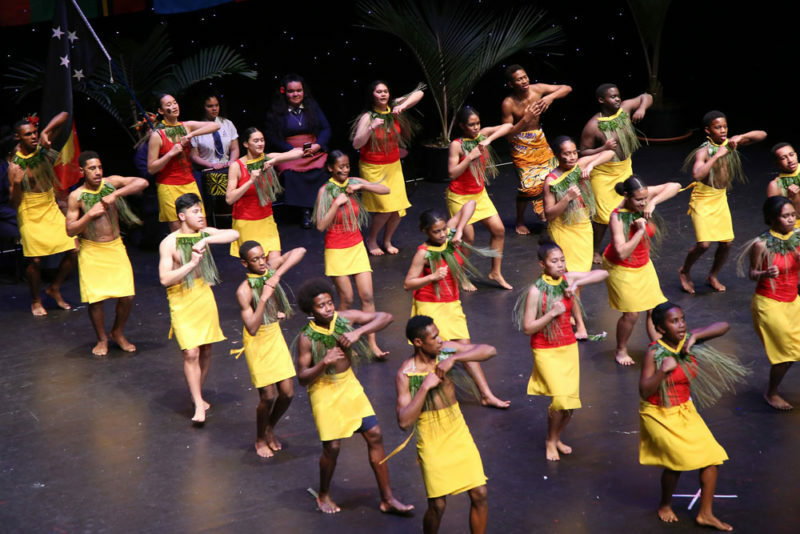 Pasifika Fusion featured 12 high schools around the region. Thursday’s program was opened with a lively performance by Saint Joseph’s Catholic Primary School from Levin. Followed by the catwalk display of wearable art creations which Sisi Panikoula (Y12) took part in. An inspired piece reflecting cultural inspirations that also highlighted a growing concern with the over-consumption of plastic materials. LAC entered five vocal items in the talent category and did the school proud with three solo performances, a trio item and a 13 member choir. The afternoon focused on our drama group and cultural performance representing Fiji, Tonga and Papua New Guinea. The drama was filled with comical moments and it reminded us that we don’t have to compare ourselves to those around us. The cultural performance was an awesome presentation of cultural dance with a combined effort of more than 25 students. Many of whom met in their own time to practice and each taking part in making their own costumes and accessories. The evening concert was awesome and The Regent was full of family and friends who came to support those involved! The night was opened by Jotham’s cinematography entry – ‘Being Me’. A wonderful reminder that we don’t need to compare ourselves to others. Sisi once again showcased her wearable art piece which was one of the top 6 to be selected to be exhibited at Te Manawa Gallery. The LAC Pasifika Choir performed their song ‘The Colour Purple’ and the PNG item was chosen to represent our school’s cultural performance. They all did so well! A well-deserved congratulations to our first place winners Jotham Tesese (1st Place Cinematography), Sisi Panikoula (1st Place Visual Art) and The LAC Pasifika Choir (1st Place Choir). A huge thank you to our student leaders Torika Warren-Peu (Y12), Makereta Moceisuva (Y13), Beaven Ganaii (Y12), To’o Duffy (Y11) and Jotham Tesese (Y13). A special thanks also go to Alan Pedley, Greg Woollaston, Roy and Maria Henry-Taripo, Eifion Paul and to our staff on duty for the day: Kelvin Rutherford, Bex King, Kofi Amoah and Stephanie Ngarepa. Thank you to everyone who continues to love and nurture our students. I feel extremely blessed to work alongside such a passionate group of talented students and I am very proud of them all! !